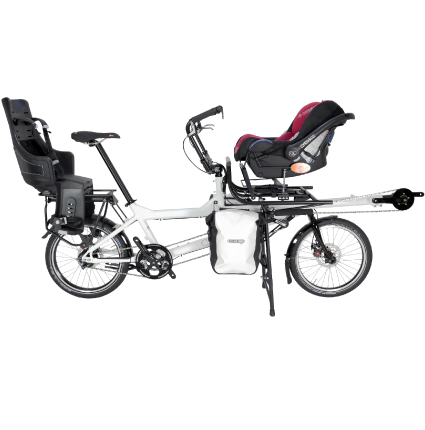 By using the Cargo and Titan rack combination, it is possible to carry a toddler and a baby. Installing the Steco Baby Mee on the Cargo rack, allows the baby to be carried in a Maxi Cosi car seat, while the toddler can travel in style in the Bobike child seat. Use the Brompton bag on the front to carry all the bits ‘n pieces two young children require. 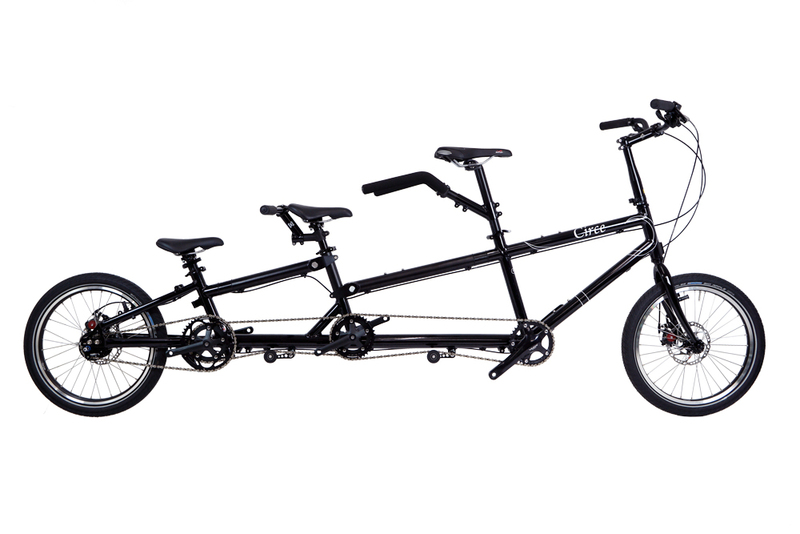 By using the Cargo and Titan rack combination, it is possible to carry a toddler and a baby. Installing the Steco Baby Mee on the Cargo rack, allows the baby to be carried in a Maxi Cosi car seat, while the toddler can travel in style in the Bobike child seat. Use the Mid rack to carry a set of panniers, or add the Cargo extension to give you a load platform for a pushchair or shopping bags! 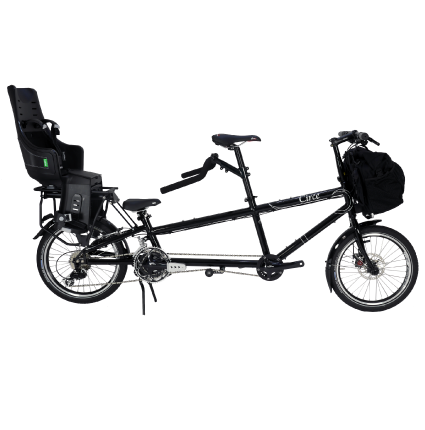 With the Cargo rack replacing the stoker seat and with the Titan, or other suitable rear rack, the Helios can take two child seats. The middle seat is lower than the rear seat helping to keep the centre of gravity low. Luggage can be carried on the front with either the Brompton bag or in panniers on the front rack. 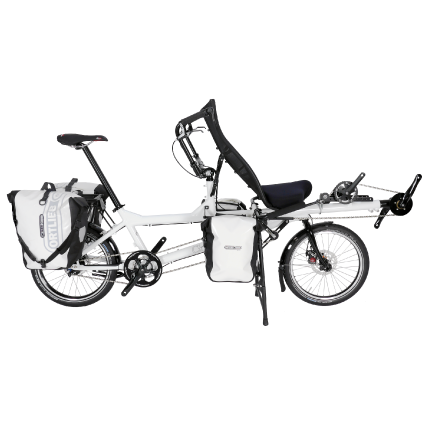 With the Cargo rack replacing the stoker seat and with the Titan or other suitable rear rack the Morpheus can take two child seats. The front seat can be mounted to face the captain (rider height restrictions apply here due to visibility), or, forward facing as pictured. Use the Mid rack to carry a set of panniers, or add the Cargo extension to give you a load platform for a pushchair or shopping bags! 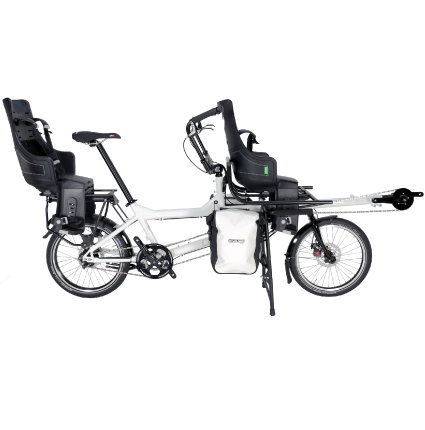 The Helios has a very low step over and saddle height which makes it perfect for young children. 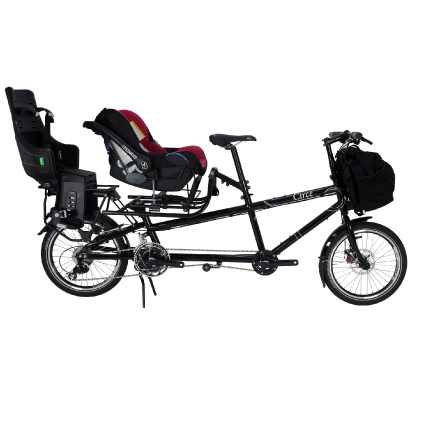 With the addition of the crank shorteners, or junior crank, and the junior saddle it offers a safe and comfortable riding position for children as young as three. The Morpheus front seat gives your child a clear view of where you’re going. With the addition of the harness and kiddie crank kit you can be sure your child will be having fun while staying safe. The younger child rides at the back in the child seat. 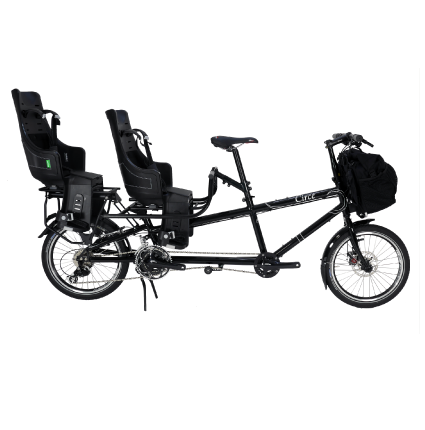 The Helios, with the addition of the Triplet kit, can allow two young children to pedal, whilst still being under the control of an adult.